Looking for a way to introduce the wonder of freezer cooking to your friends? 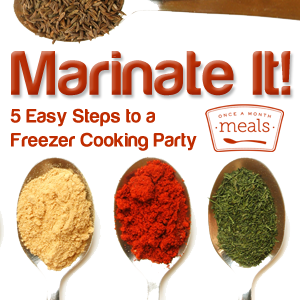 Have a Marinate It Party! With our resources and just a few simple steps you can enjoy an evening filled with friends, fun and, of course, freezer meals.